Learn how to change the completion status of an assessment. 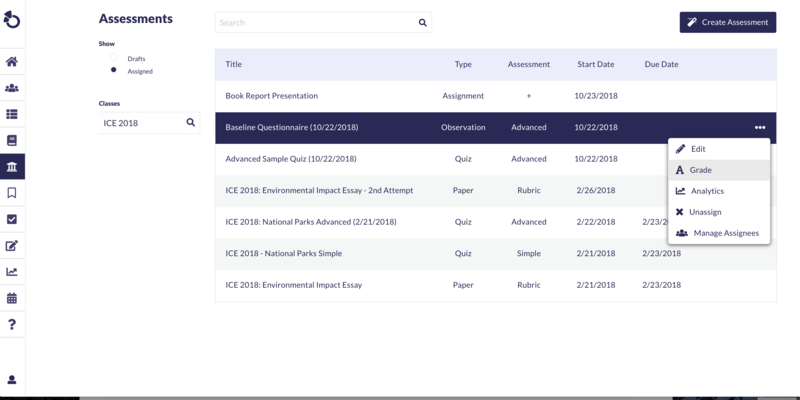 To change the Assessment Completion Status for a student, navigate to Assigned Assessments within the Assessment module. First, select the desired class from the drop down menu. Then hover over the assessment you’d like to adjust the student submission status and click Grade. Update the student's status by selecting the desired status from the dropdown menu in the upper righthand corner and click Save. Please find additional information about the drop down options that appear when grading an assessment. 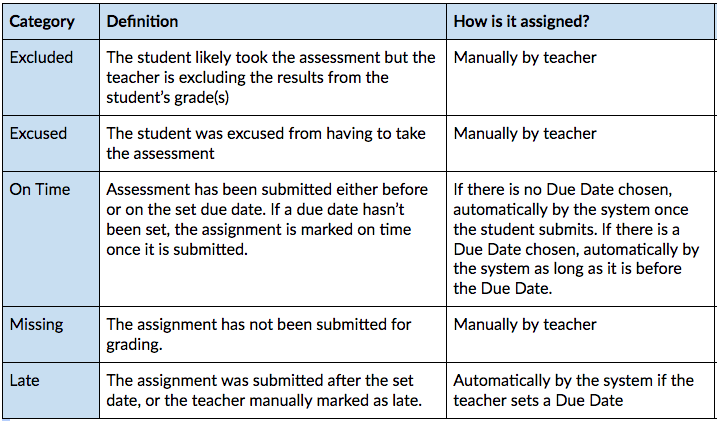 If you change the due date of an assessment after a student has submitted the assessment, you will have to manually adjust the status for the student.